When boats come together, especially in a tightly packed Laser fleet there is a huge amount of opportunity for place changing. Whilst the leaders may have been able to get away slightly, because they spent most of the 1st beat in clear air and in phase with the shift rather than struggling to find a clear lane, those placed in the teens and beyond may end up with many boats arriving at the same time. Therefore, good decision-making and forward-planning is a must. 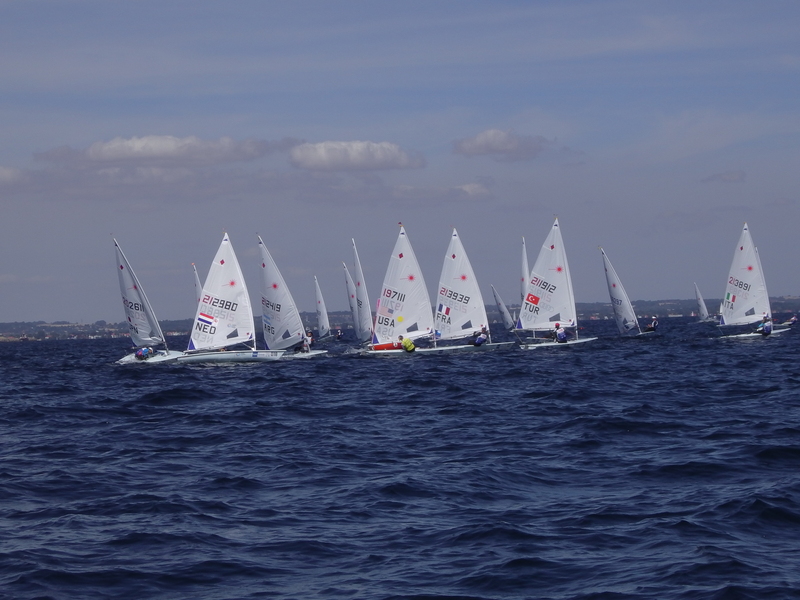 Most of the fleet may often come in from one side of the course (normally, but not always, the favored side of the course!) Therefore, finding a clear lane into the mark is very important. 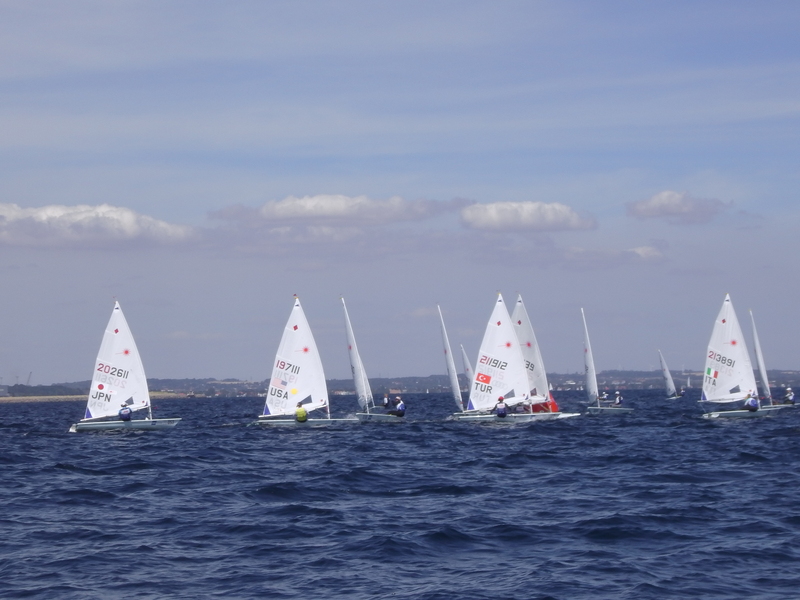 You may need to sail high or low and therefore set your rig and sailing style accordingly to maintain a lane, because sitting in dirty air is rarely a good option. So, having more room really keeps your options open. A port-tack approach for the front-runners in the race is not a problem. There will be room for them to tack at the mark, and worst-case scenario, they may have to duck one or two boats. Therefore, the focus can be on staying in phase with the shift whilst sailing the optimum angle for maximum velocity made good. Back in the pack, a port-tack approach becomes progressively more dangerous, the busier the fleet becomes. Remember, taking a penalty here can be extremely costly as can having to duck a large number of boats. Further back in the fleet there becomes less and less room and the danger of hitting the mark gradually increases if trying to squeeze in. Having said that, there may still be opportunity for place changing if the fleet has all over- or under-stood the mark. After around the mid-fleet position, there tends to be a huge amount of both dirty wind and water under both the port and starboard laylines, so within six boat lengths of the mark you will want to avoid this messy area, which I once heard someone describe as trying to sail in a washing machine! The leeward gate is another hot spot for place changing. 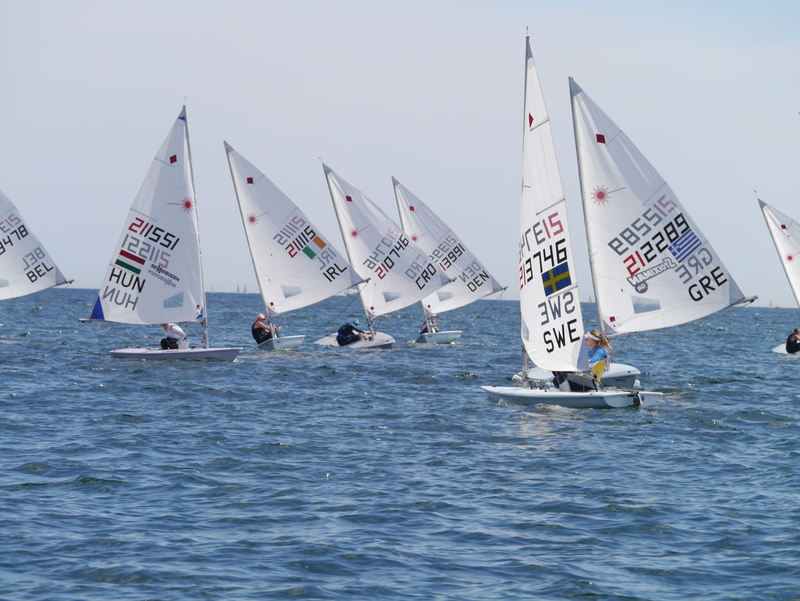 Here, we are not only considering the favored gate in terms of which mark is closer (most upwind), but also which gives you easiest access to your preferred side of the course, if for whatever reason (shift, pressure, current, etc.) one side is heavily biased. Remember, there is not only a lot of dirty wind at the leeward gate but also a lot of dirty water. Avoiding traffic is another key idea all around the course, but perhaps especially at a gate because sometimes avoiding the queue and going for the seemingly less-preferred option may be better in the long term… This is a very important decision! Closing speeds at the leeward mark are much faster than the windward mark as boats are traveling faster, and those who have rounded the mark are sailing in nearly the opposite direction to those still approaching it. 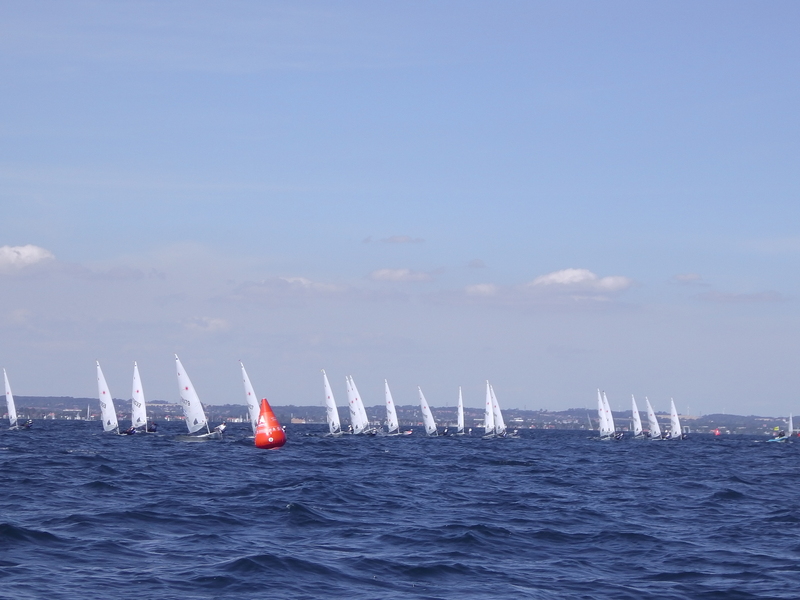 Remember, every extra boat length sailed downwind is double the penalty because you will then need to sail upwind again. Therefore, it is very rarely worth going around the outside of the group, and although the gate is much shorter than the start line, there will usually be some bias, so even when everything seems equal, choose your mark carefully. For boat-handling training, one of the best exercises you can do is multiple lap windward-leeward courses. 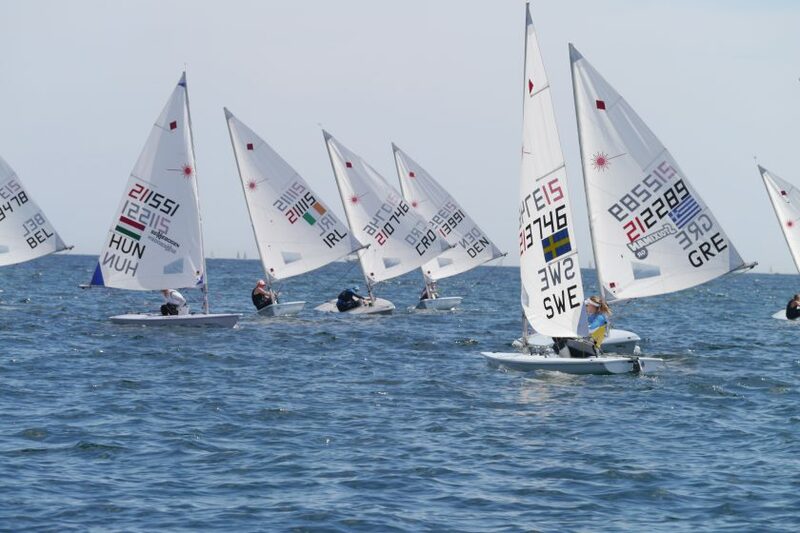 Practice makes perfect and if you experience lots of close boat-to-boat situations in training, it will make it far easier when racing for real! Want to learn more about racing tactics? Check out Jon’s book on Tactics Be Your Own Tactics Coach available on Amazon and all good book stores.